Not the actual "homesick" sick but at home feeling unwell... Not sure when the last time was, if I were still working, I would have taken two days medical leave and rest at home. Alas, now every day is a holiday, so sick or no sick, I can rest all I like. I haven't even TASTE any Durians as yet! Whoah! 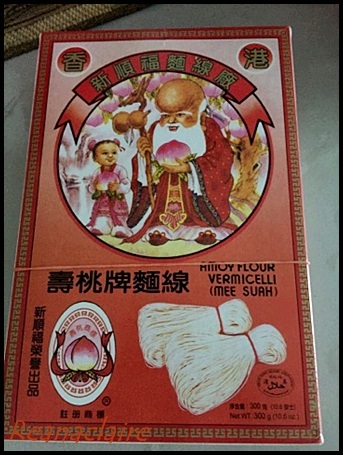 I also ate from the same box of mee suah with the old God of Longevity brand. I remember this well before Maggi Mee flooded the market. Now I wanna go and buy one box to cook for myself. My servant used to thrown in one egg with half cube of chicken stock. Presto! I would advise you to buy a good brand of Lavender's essential oil. It could guarantee to prevent any sore or itchy throats away by just rubbing your affected spot on your neck. I have been doing that for years for instant relief and no more sore throats. Wow.. does it really work... the itchiness cause coughing to come.. today is a bit better.. can eat durians soon!! I often eat mee suah, sick or well. hope you feel much better soon. I am better now.. thanks! Oh no! It is no fun getting sick. But at least everyday is a holiday for you hee...hee... can rest all you like. Eh, that is my partner's favorite brand of mee suah! My girl bought this back.. she likes this too..
Sick or no sick, I love meesua. Get well soon, then go wallop the durians. I haven't eaten any durian yet, being a good girl, no temptation yet! Hahahaha! get well soon! 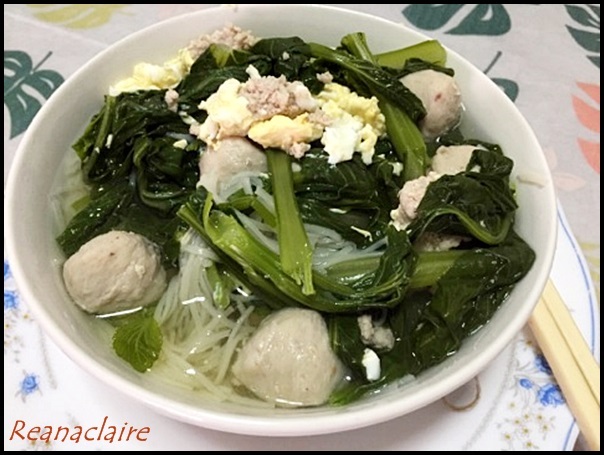 I like ur mee suah version, lotsa greens! 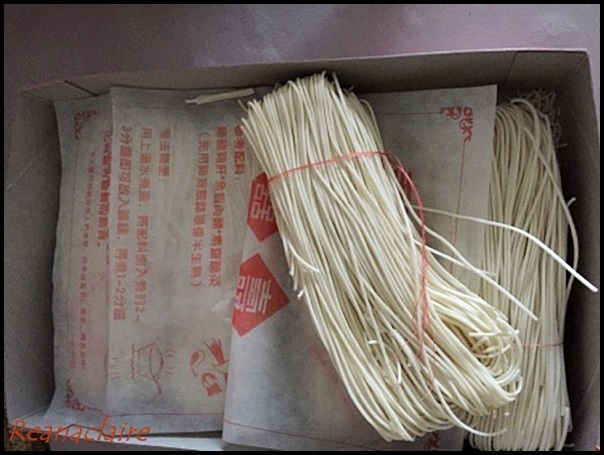 Meesua is also nice with chicken soup, especially the Foochow red wine chicken soup. Wow.. those sounds very exotic!! Oh Claire, I am so sorry you are sick. Maybe it is a cold? You are almost never sick! But this looks like a good meal for a sick person...protein, broth, and greens. I hope you get well really fast! Thank you, Ginny.. I have.. Thank God for healing! I had itchy throat too, just yesterday and because of the itchy throat, I cough a lot. Yes, meesua cannot never go wrong with the unwell..